Industrial Burner Services Inc. provides service, equipment and parts for all types of industrial burner systems and heat process equipment (Ovens, Oxidizers, Air Heaters, Ladle Preheaters, Parts Washers, etc.). 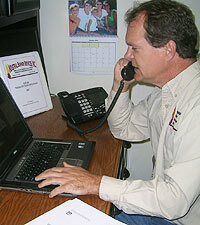 We offer reliable customer service and professional, easy to read, service reports. Our 30+ years of experience, knowledge and applications can handle your needs.